One of the first of the “bird” streets was built very near to the original road into Masterton. A.G. Wallis, a local builder, created a subdivision leading from Worksop Road through to the Makoura Stream, close to the site of the old Worksop Farm. The original road to Masterton used to lead directly to the accommodation house at the farm. Kaka Street was originally designed to connect to the rest of the “bird reserve” when constructed in 1955 although the connection was never made. 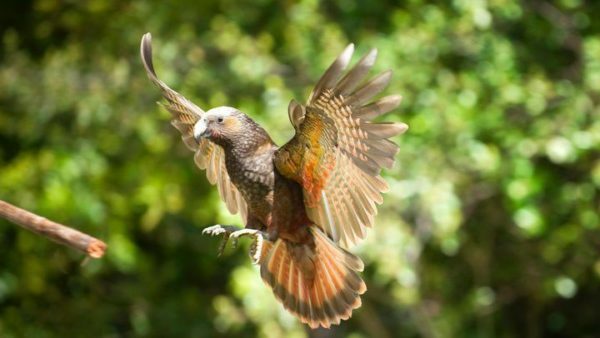 The kaka is a forest dwelling native parrot, distinguished by its bright orange and red undercolourings, and by its harsh cries that are capable of being heard at long distances. Pic: The afternoon kaka feeding at Pukaha is a daily delight.